Our experienced Birmingham workers’ compensation attorney will help you recover maximum compensation after a serious work injury. Employees are hurt in workplaces every day, with damages ranging from broken bones to electrocution and even death. In general, employees injured on the job in Alabama can receive compensation only from their employer’s compensation insurance. However, this is not always the case. Sometimes, the injured employee can also sue outside of workers’ compensation for damages. If you or a loved one have been injured on the job due to a negligent employer, contact The Mitchell Law Firm, LLC today to schedule a free consultation with an experienced attorney. Our team will review your circumstances in a free consultation and lay out your best course of legal action. Who Qualifies for Workers’ Compensation Benefits in Birmingham? The employer must have workers’ compensation insurance. All employers with five or more workers must have this insurance, however, the law in Alabama does not apply to domestic servants, farm labors, casual employees, or government employees. The injury must arise out of an accident, or an “unexpected or unforeseen event” that happens with or without someone’s fault, and that causes injury to the body by accidental means. The accident must have happened at work or in the course of employment. There must be some relationship between the accident in question and the employee’s job. The employee doesn’t have to be in the workplace, but he or she must be carrying out work-related responsibilities. The employee must report the incident to his or her employer in a timely manner. Alabama laws require employees to give notice within five days of the accident, but the maximum time limit for any case is 90 days. The employee must file the workers’ compensation insurance claim within two years from the date of the accident. If the employee is filing to reopen a workers’ comp claim, he or she has two years from the date of the last payment to file. Workers’ compensation will not cover employee injuries that arise out of the injured party’s own willful misconduct, nor will it cover injuries from acts by third parties or coworkers for personal reasons not relating to employment. If the employee is under the influence at the time of the accident, refuses to perform a statutory duty, or willfully breaches a workplace rule, these can also preclude him or her from coverage. You or your employer files the proper forms to the Alabama Workers’ Compensation Division. Your employer should be able to do this for you, but if not, you can file yourself online or by downloading and mailing in the forms. Include your full name, address, description of the accident and injuries, and damages you are seeking (including lost wages for missed time at work or disability) in the Initial Injury Report. Seek medical attention for your injuries. If you have an emergency situation, the law permits you to go to any hospital or doctor for immediate care. You must then, however, return to a doctor on the qualifying list afterward. Ask your employer which doctor you should see for your injury. Your employer should make a list of a few options available to you. Wait for workers’ compensation benefits. If there are no issues regarding your claim and you receive an approval letter, you should receive a check to cover your medical bills (and two-thirds lost wages, if applicable) within 14 days of your accident. If you have to miss work for more than seven days, you’ll receive a check for these lost shifts after at least 21 days total of missed work. Your benefits should continue every two weeks for the duration of the terms of your settlement. Keep records of your insurance claim. Keep a file with all information and documents relating to your workplace accident, injury, and workers’ compensation claim. This includes your initial injury report and all communication from the insurance company. Having this information will help you should you encounter any problems with your claim or benefits checks. Seek additional damages if possible. There might be an opportunity for you to file outside of Alabama’s workers’ compensation system. If so, ask for help from an attorney in Birmingham. You might also need a lawyer if your employer disputes your claim, the insurance company denies benefits, or your injuries worsen after you already settle and close your case. At any point during the workers’ compensation filing process, feel free to talk to our attorneys. We’ll discuss your case for free and give you our professional opinion on what steps you should take next. If you encounter any issues with your Birmingham workers’ compensation claim, we can help. We have years of experience representing injured workers across all industries. We can make the filing process simple, and help you seek compensation through all available outlets. Depending on several factors including the cause and severity of your work injury or illness, employees may qualify for one of three benefits: disability, rehabilitation and death benefit for survivors. Disability: If you miss a significant amount of work from a debilitating work injury, you may qualify for one of four types of disability benefits, generally providing you two-thirds of your pay. Temporary Partial Disability: Doctor allows you to return to work while recovering, but may limit the type of work or advise part-time; if you’re doctor allows you to work while recovering, you must do so in order to receive this worker comp. benefit. Temporary Total Disability: If a doctor says you can’t work for four or more days than you may qualify for temporary total disability; this benefit will typically continue until you’re able to return to work. Permanent Partial Disability: The nature and severity of your permanent disability will determine how long and the gross amount of payments you’ll receive; a doctor will assign a percentage to your disability once you reach maximum medical improvement (MMI). Permanent Total Disability: If a doctor says you can never return to your job or gain similar employment again, you’ll receive a maximum of $220 per week for the remainder of your life. Rehabilitation: If required, workers’ compensation may cover your physical and occupation therapy sessions. If unable to return to your previous position, many employers will pay for vocational rehabilitation to prepare you for a new position within the company. This can be a win for both of you as you properly heal and are able to work again after proper healing and you’re employer will eventually pay you for hours worked versus the lifetime payments associated with permanent total disability (mentioned above). Death Benefit for Survivors: The spouse or children of the deceased worker are entitled to funeral expenses and compensation based off the workers’ salary at the time of his/her death. There is a chance your employer’s insurance company will deny your request for workers’ compensation benefits. The insurer should tell you the reason for the denial on the letter, or you can call and ask for a more in-depth explanation. The reason might be that you missed a reporting or filing deadline, your employer is disputing that the accident happened during work, or that the insurance company believes your injuries are pre-existing/do not qualify for benefits. Whatever the reason, you have the right to take action against a claim denial in Alabama. If you’re unhappy with the workers’ compensation decision, file a request for the insurer to reconsider your claim. This is often a required preliminary step before you can file an official lawsuit. 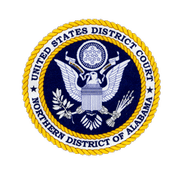 Alabama is unique in that it does not have an administrative court system to hear workers’ comp appeal claims. Instead, you must file a lawsuit with the state courts to contest your denial. The Alabama Department of Industrial Relations (DIR) might be able to assist you if you’re contesting denial of medical benefits only. Otherwise, you will need to file a civil lawsuit. Do so with help from our experienced Birmingham workers’ compensation lawyers at The Mitchell Law Firm, LLC. If a workplace accident involves certain factors, the courts will allow the injured party to sue beyond the employer’s workers’ compensation insurance. Exceptions to the rule include if a defective product injured an employee. In this situation, the injured worker may also be able to sue the manufacturer, according to product liability laws. When employees are hurt by exposure to a toxic substance at work, they may be able to bring a mass tort lawsuit against the substance manufacturer. If your employer engaged in intentional misconduct or reckless activity, causing your workplace injury, you may have a case against your individual employer for negligence. You can also sue outside of workers’ compensation if your employer does not carry employee insurance. In this case, you could sue the employer for your damages. If you are in need of legal counsel after suffering from a workplace injury, contact a Birmingham workers’ compensation attorney for help. Why File a Claim Outside of Workers’ Compensation in Birmingham? Most injured employees settle for the money and benefits they receive from workers’ compensation without realizing they could be eligible to receive much more. While workers’ comp is great for paying for medical costs, disability payments are very low and often don’t take into account pain and suffering or other punitive damages. Workers’ compensation only covers workers injured on the job, performing duties within the scope of employment. A personal injury lawsuit, on the other hand, doesn’t limit the scope of the injury to these specifications. If, for example, you’re injured on the job while performing a duty above and beyond the scope of your employment, workers’ comp won’t help you the way a personal injury claim could. Workers’ compensation benefits generally are paid without the need to determine who is at fault for the worker’s injury. If the employee is hurt on the job, workers’ comp applies with no questions asked. In contrast, the victim in a personal injury case must prove the defendant was negligent in his or her duties and this negligence caused an injury. While this distinction makes personal injury lawsuits more difficult, it’s often worth it for the higher payout. An injured worker usually does not have to worry about paying for lawyer costs and fees in a personal injury lawsuit, because most Birmingham injury lawyers work on a contingency-fee basis. That means the plaintiff does not have to pay any fees unless the lawyer wins the case. At The Mitchell Law Firm, LLC, our Birmingham workers’ compensation attorneys work on a contingency-fee basis, so injured workers do not have to worry about paying out of pocket for court fees. If you’re unsure whether the circumstances of your injury qualify for a claim outside of workers’ compensation, use a free consultation with a lawyer to find out for sure. It’s important for injured employees to understand their rights within the full scope of the law to ensure they receive proper compensation for injuries. Filing an injury lawsuit on top of workers’ compensation can get you the financial compensation you truly deserve. Turning your workers’ compensation case into a Birmingham personal injury case can be hugely beneficial to you and your family. With the skilled Birmingham workers’ compensation lawyers of The Mitchell Law Firm, LLC, by your side, you’ll greatly improve your chances of recovering damages outside the scope of limited workers’ compensation. For more information about workers’ compensation laws in Alabama or to discuss your case with a personal injury attorney, contact us today. We’re more than happy to speak with you one on one, over the phone, or in person.